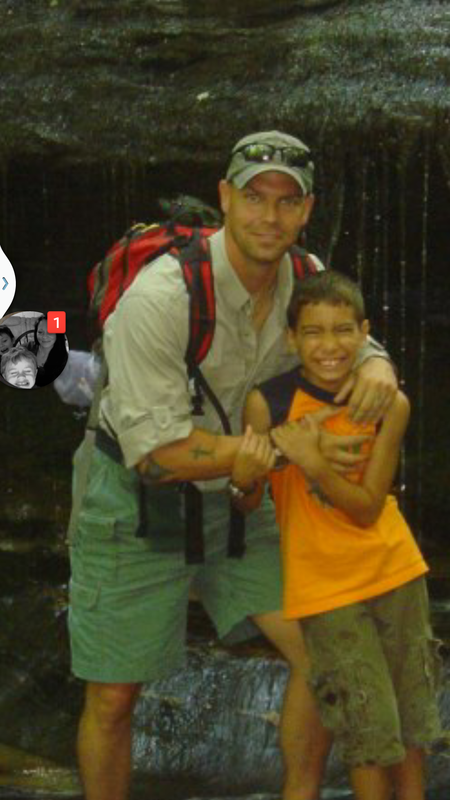 Chris Beard has served as a United States Marine for the past 20 years and has served in many diverse billets and assignments. Having the opportunity to train and instruct many different types of learners has given Chris the experience to capture the learning potential of a wide student base. Chris purchased his first motorcycle in 2006 and attended the MSF Basic Rider Course (BRC) two months later. Chris attributes many of his advanced skills to the fundamentals he learned while in the BRC, referring to those skills as the, "building blocks" of rider education. One year later, Chris completed the MSF Experienced Riders Course which further advanced his rider skill set. 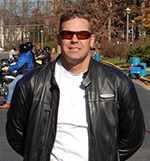 In April of 2010, Chris was selected to attend the MSF Rider Coach Prep Course and upon completion became a MSF Certified Rider Coach. Chris is an "all season" rider and enjoys the challenges associated with riding in cold and inclement weather. Chris believes riding year round has helped him become a more well-rounded instructor. 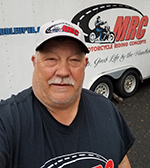 Chris is starting his second year with MRC and takes great satisfaction from the opportunity to pass on his knowledge to new and experienced riders as well. John Murphy brings over 45 years and 500,000 miles of riding experience and a true passion for sharing his love of riding to our program. John and his wife Sharon have ridden cross country 2 times and have only 2 States, Washington and Oregon to check off of their ridden in the lower 48 checklist. 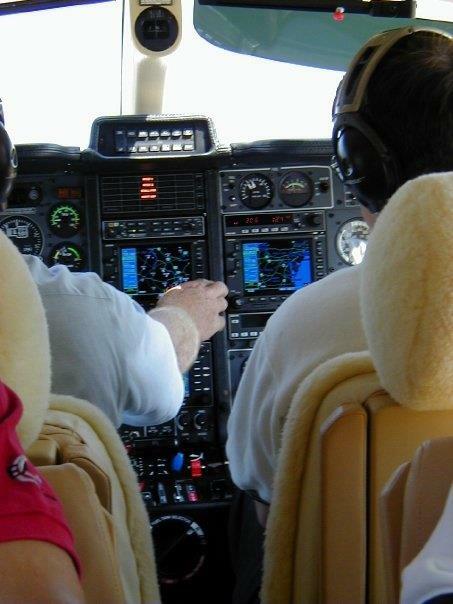 Some of John’s past endeavors include coaching baseball at the High School and American Legion Level for over 20 years, accumulating over 200 dives as an Advanced Scuba Diver, and attaining a Commercial Pilot’s License with over 2000 total hours of flight time. He and his wife Sharon recently celebrated their 42nd Wedding Anniversary. John is a Past Director of the Fairfax Harley Owners Group, a Chapter of 600 or so motorcyclist’s whose motto is “Let’s Ride and have Fun”. When not coaching now John enjoys spending time with his wife and visiting many of the local Wineries, as well as heading out on 2 wheels to ride the great roads and scenic areas around the region. 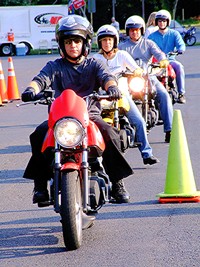 This course offers over 15 hours of classroom and riding instruction based on the Motorcycle Safety Foundation (MSF) curriculum. This course is specifically designed for the novice rider and beginner rider. Students learn about components and controls of a motorcycle, riding gear and preparing to for the ride. The risk of riding and managing that risk are studied in depth better preparing the student for "real life" riding. Strategies are investigated that will prepare each student for riding on the street in traffic. Whether you want to learn to ride for pleasure or basic low-cost transportation or both, this course is perfect for you. Many students are returning riders. They rode a motorcycle in their youth, but haven't ridden in years. This is a perfect reintroduction to riding. Experienced riders can break bad habits and gain new skills. Graduating students receive an Motorcycle Safety Foundation completion certificate and a Virginia Class "M2" endorsement (motorcycle license). We offer both weekday and weekend classes throughout the year. Class sizes are typically 10 - 12 students facilitated by two professional RiderCoaches.